Home Culture What is the Shelf Life of Cannabis? What is the Shelf Life of Cannabis? As with any consumable commodity, they typically don’t last forever; cannabis is no exception. Unless it’s preserved in some way, vegetative matter will decay, rot or spoil after a certain period of time. How long cannabis flowers can be preserved depends on the strain, method of storage, light, and heat. Also, one of the main factors impacting the potency of cannabis is time. Over time, THC will degrade and oxidize, thus converting to cannabinol, or CBN. CBN is a non-psychoactive cannabinoid that can promote the growth of bone cells and work as an anti-convulsive. Studies have also noted CBN’s antibacterial and anti-inflammatory properties. Cannabis potency has four main mortal enemies: heat, light, oxygen and moisture. Refrigeration will stall the breakdown of the cannabinoids, so some cannabis users will store their herb in the freezer. It is probably best that you do not do this. Freezing just about anything can bring out the moisture in a product and cause it to surface. While this doesn’t necessarily matter for some products, for cannabis it can be destructive. 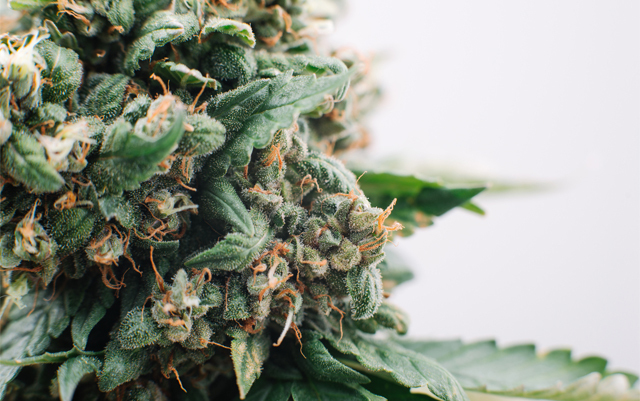 As the moisture is brought to the surface from the inside of the floral tissues of cannabis buds, it will cause the resins secreted by the flowers to decay. This is not an issue unique to cannabis flowers. Extracts, edibles and packaged cannabis products also face these same issues. To be clear, freezing cannabis in the short-term doesn’t necessarily destroy THC outright. One hash-making technique actually involves freezing buds. But this doesn’t usually involved long-term storage. Freezing weed can make it brittle, causing the green to become powdery and the trichomes to more easily fall or break off. This is why frozen weed can be good for making hash, but probably isn’t the best for long-term storage. The logical conclusion is that airtight containers stored in the refrigerator would be the best way to store your herb long-term. However, your average home grower usually won’t have access to large refrigerator space. Keeping big containers of weed in your kitchen fridge isn’t exactly ideal, especially since the weed will be exposed to the light every time you open it to get something to eat. For this reason, if you need to store large amounts of your herb long-term, it might be best to do so in the back of a cool, dark, low-humidity closet or area that isn’t highly trafficked. Some cannabis connoisseurs swear by plastic bags and storage containers. However, this method could be questionable long-term, as plastic bags can create a static charge which will degrade potency over time. There’s also a common consensus that plastic itself isn’t good for the environment. For this reason, some cities are outright banning the use of plastic bags altogether, and some stores charge customers for the use of plastic bags. Regardless of your preferred method of preservation, having a large enough amount of weed that you need to think of long-term storage is a good “problem” to have. Have you ever needed to store cannabis products long-term? If so, what worked best for you? I would think keeping it stored in an air tight container, in a dark place would be best. I had not heard about static degrading potency, that is interesting. Thanks for sharing! Considering the effects oxygen, it might be beneficial to squirt a little CO2 in the jar if you’ll be storing for months at a time… It might help prevent mold as well… Does anyone know if this viable, or not a good idea? Throw in a pack or two of the moisture absorbent packs that are in vitamin containers and tech products packaging. If you are going to store long term, do not fully cure before storage. Cure to 90% and then store in glass jars in fridge with bulb removed. Cannabis can be stored for a long time at 3 to 6 C and when you need to use just complete the last 10% of the curing process and it is almost as good as freshly cured harvest. I have leftover buds and leaves I forgot were in the back of my freezer that are now 14 months frozen. Should I just throw them or can they still be used in any way? Does anyone know if there is a nutritional value left in buds after vaping? Or if there is anything left after extracting CBD with C02? Yes, Mindy–don’t throw that AVB (already vaped bud) away–do a search and find the best ways to extract what’s left (I prefer tinctures, but to each her own).